Make your life at work a little easier by getting everything you need for business checks with some convenient one-stop-shopping. 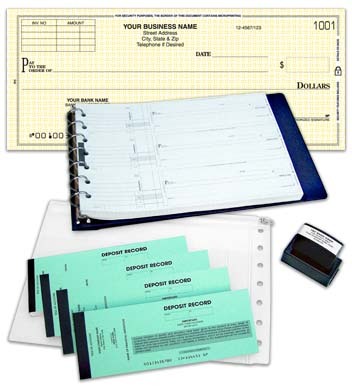 This sweet package deal includes a set of our Multi Purpose Deduction Code Checks. 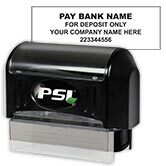 They are payroll checks that include specific tax deduction codes pre-printed on the detachable stub. You can also use this selection for general disbursement and there are invoice boxes in the upper left corner allowing you to pay multiple bills with one check. The kit also includes 200 booked deposit tickets, a pre-inked Endorsement Stamp and a hard-to-find 7-ring check binder with an organizer sleeve that clips right in. Get your own Multi Purpose Deduction Code Check Kit now and give your company a boost of efficiency!